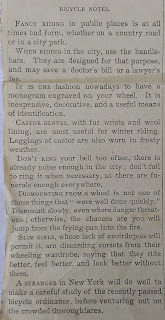 Highway550 - Surly Long Haul Trucker: 1907 newspaper article on Bicycles ! 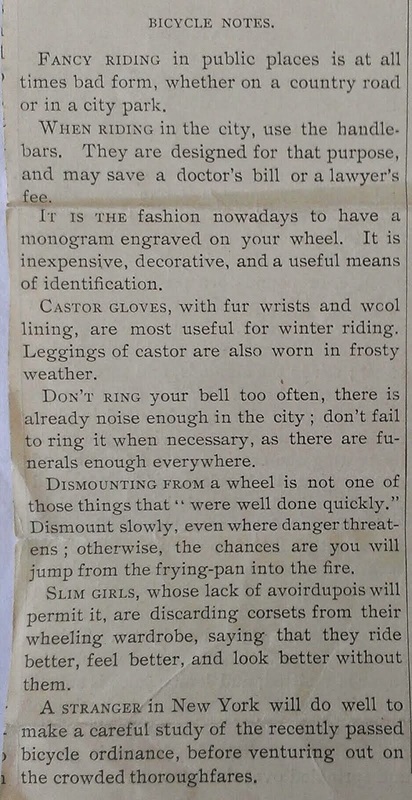 1907 newspaper article on Bicycles ! I found this 1907 article on the back of a sandwich recipe from a newspaper that my great great Grandmother had cut out and put in her old cookbook. The cookbook is a treasure, full of interesting recipes and newspaper clippings !